Junior Sidney Lowry somehow balances her friends, clubs, and challenging classes, all to prepare herself for the bright future coming her way. How does she do it? 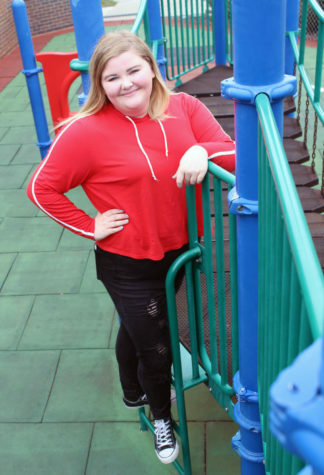 Lowry has a true passion for helping people, which she expresses through her involvement in many different clubs such as, Link Crew, Key club, newspaper and French club. In Sidney’s freetime she loves to hang out with her friends at football and basketball games. She is inspired by all different types of people and tries to engulf herself in diverse characters. Sidney Lowry loves a good challenge; this year she is taking all AP, Advanced, or Honors core classes that are available for her grade. “I am ready to challenge myself like I haven’t before,” Lowry said. Another challenging class that Lowry is taking this year is newspaper which was an unexpected opportunity that presented itself through a different writing class.